Given our range of services and years of experience in this area, we consider shop and office fit-out our specialty. 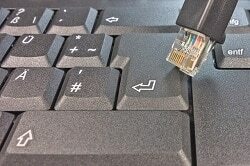 In Brisbane, Network cabling is the hardware used to connect one network device to others or connecting multiple computers to share scanners, printers etc. Network cabling can also refer to the connection between the switch and the server or the server to the storage unit. If you require network cabling for your shop or office fit-out here in Brisbane then we can cover all your cabling requirements. In case you do not know, network cabling is a telecommunications system that is designed to support all your needs through voice, graphics, images, multimedia data, security monitoring in addition to other information you may need to send or receive. Communication through the internet is constantly improving and when you install or have installed data cabling into your business premises your equipment also needs to be sufficient to withstand the high speeds and demands of today’s fast paced world. You may need to upgrade your existing computer system during your fit-out. We can offer you every aspect of network design and implement everything down to the finest detail through our experienced professional installers in this field of electronics. Professional Installation or a Cheaper but less Efficient Alternative! Imagine the following scenario and the consequences to your business. 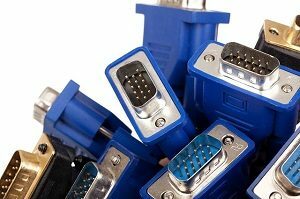 You have had the cabling installed but your contractor uses cheaper less efficient connectors that will mar the performance of your computer system. What would be the consequences of using faulty data cabling or not using data cabling at all and relying on standardized phone cabling? Standardized phone cabling will soon be eradicated from all homes and businesses in Brisbane as more people are utilizing VoIP which requires Ethernet cabling. We only use experts that are licensed and fully endorsed technicians in the field of installing data cabling. Whatever speed you want installed for your shop or office fit-out in Brisbane we can give you, whether it is one gigabit or 100. 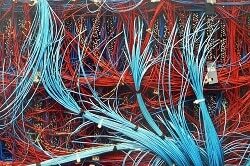 The data cabling used in your fit-out has to factor in issues such as impedance, inductance or other technical terminologies that could easily go over your head but you do not need to worry about that as our expert technicians can find the best options and solutions to your networking needs. The network cabling transmitting the data throughout your office, shop or business network is the backbone of your network. Using the correct cabling means your workstations, servers, printers, phones and other devices are connected correctly and leads to the effective day to day operation of your business. We have in-house cabling experts that plan and install the correct cabling infrastructure for your needs to ensure you have network reliability and security at a speed that does not hinder your business. We can offer you a solution to your network cabling needs whether yours is a newly built property or you are remodeling your existing business premises. We will install new or in the case of an office upgrade we will look at your existing cabling and replace any that is outdated or in need of repair to give you a better connection speed and greater reliability. We can discover why you may have a slow internet speed and make the necessary improvements your system needs. While it may be a great addition to your office to have wireless laptops and other mobile devices for the flexibility that they bring did you know that printers and scanners are up to 20 times faster when connected to a wired desktop than when receiving data from a wireless device. Fibre optic cables are thin and lightweight, much more so than copper or other metal cables. This makes them easier to transport, install and use. They are secure it is much harder to tap into fiber optic cables than copper or other electrical wiring thus making fibre optics a much more secure option for your internet security. While signals transmitted across copper wiring can degrade particularly over longer distances. The information transmitted along fibre optics cables is quicker and requires fewer stations are required to maintain the quality of those signals. Fibre optics are not affected by changes in the weather, the signal is not affected by cold, heat, rain or even lightning in the way that copper wiring can be. Digital data is binary and knowing that fibre optic cables are binary means it is the perfect way to transmit signals as there is no interference of multiple cables next to each other. We can offer you the solution you need to your network cabling needs in Brisbane. If your business needs an upgrade on its current system come and talk to us and we will offer you the solution you require after listening to your requirements.